One of the most powerful tools human beings can use in order to create the life of their dreams is that of visualization. You have probably heard of it on numerous occasions. Think about what you want, feel it as if it was already true, and you will be attracting whatever your heart desires into reality. If you think about it, visualization is something we do constantly. Without really being conscious of it our minds are constantly going over imaginary scenarios or reliving memories. In fact if it wasn’t for visualization we would not even be able to make the simplest of decisions. Stop for a moment, and imagine that right now somebody offered you a bowl of ice-cream. They tell you that you can choose between vanilla, chocolate, or a combination of the two. How long do you think it might take you to choose the flavor you prefer? It is such a simple choice, right? So simple and fast that you probably did not realize that you used visualization in order to make such decision. In a flash, your mind imagined how each of the flavors would taste in your mouth, how the texture and temperature of the ice cream will feel, and your emotions in each case. Then, the one “image” that felt best of all the possible future outcomes was the one you chose. Because this type of decision has no major bearing on your life, and because it is a choice you have probably made many times before, the images might go faster than your conscious mind can register. On the other hand, whenever you have been faced with an important decision you probably spent days pondering and therefore imagining all the possible consequences of your choices. So, already we are all really familiar with what visualizing is. We have been doing it for our entire lives. Some see vivid and colorful pictures, others just have the abstract thought of what is happening in the mind’s eye. They are both normal ways of visualizing. But the key, the power of this tool, in reshaping your world relies on it being consciously directed towards something you want. There are tons of ideas and techniques that a person might implement in order to keep themselves motivated and create correct and effective visualizations. Directing and controlling one’s thoughts is in itself a huge task. 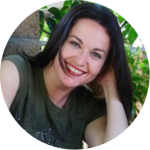 Unless you are a natural “day dreamer,” you might find it very challenging at the beginning – especially if you are in need of drastic changes in your life. Anxiety and worry can get in the way and you find yourself thinking about those things that you actually do NOT want happening over and over again. It is so hard to think happy thoughts, or be positive when things seem to be going all kinds of wrong. 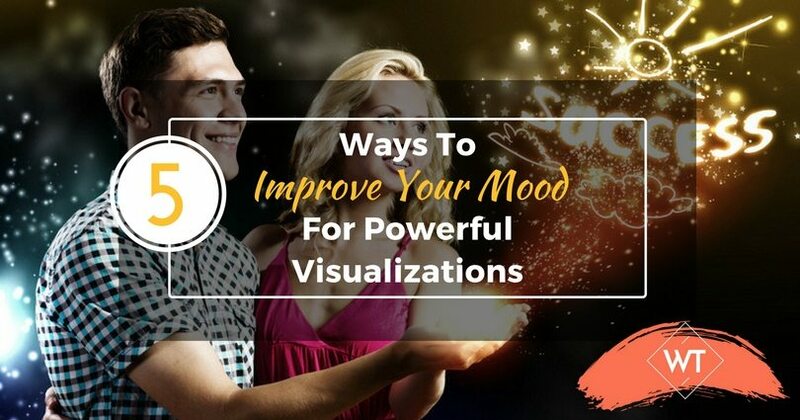 So even before you start visualizing what you want, you might want to improve your mood with a mood-booster. For a visualization to be effective, you have to have the feelings of happiness and satisfaction that come together with the images you are creating. Successfully putting yourself in a happier place before starting your visualization is like adding a giant powerful antenna to your transmission. It will shorten immensely the time it takes for your thoughts to manifest in the real world. It will also make your time visualizing so much more fun that soon you’ll find yourself spontaneously doing it all throughout the day. Most books on the subject that you can find out there put emphasis on the visualization itself, and barely touch on this very important area leading up to it. During trying times of my life I found myself taking longer than usual to change my circumstances and I realized that it was my bad moods getting in the way. I needed to lift my spirits first, and after much research and experimentation I found that the following 5 techniques were the best to improve your mood and will help you start feeling better fast. They are not written in any particular order, and depending on what you are dealing with, you might find one or another technique to be more effective to improve your mood. Try all of them, mix a couple, do different combinations. Soon you will learn what works best for you. You will not only be able to be a better “creator” by boosting your visualization power, but will also spend less amount of time being sad and blue, and who doesn’t want to have a happier life? It is extremely important to understand that no matter how far we are in our journey, how enlightened we feel we are, or how wise we have become, we are still humans. We will luckily feel an enormous array of emotions, and that includes the least pleasant ones such as anger, hate, frustration, sadness and more. We are used to hearing that these are negative feelings, and that we are supposed to avoid them in order not to attract more of them into our lives. However, even though this is true, it is also true that if you try to fight something you are giving it more power to stick around, as in the phrase “what you resist, persists”. If you tried for a long time to ignore these feelings by pushing them down, hiding them or displacing them, they would slowly pile up and could all burst out at once, sometimes causing the person to have a nervous breakdown or manifesting within themselves an illness. In the short term, ignoring how you feel will not help you feel better faster either, and will in fact weaken your concentration and your performance in general. Also, in many cases crying can be cathartic—a much needed release of energy. This is something hard to come to terms with for some people (especially men) after hearing all their life that crying is a sign of weakness. It’s like a cleansing of the emotional system. Therefore, the fastest way of getting rid of these negative feelings is to look them in the eye, accept them, own them, and be done with them. 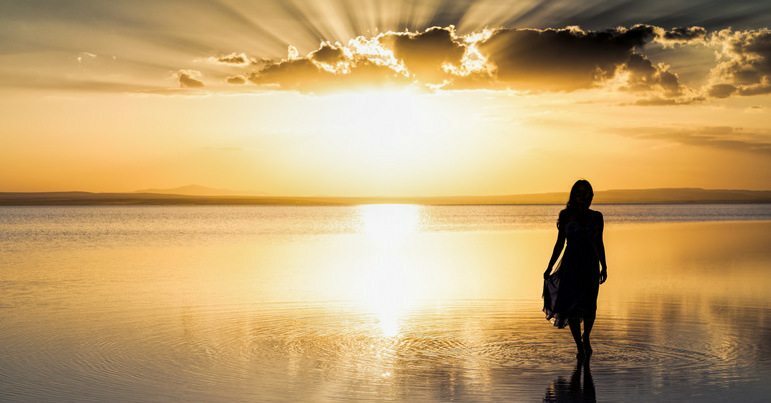 Let yourself be free to feel them, go deep into them, find a place where you can be comfortable letting go and cry if you feel like crying, let yourself get angry if that is what you need, go through the thoughts and feelings and be there alone with them for a while. In this manner, once you are done crying, you will be really done. 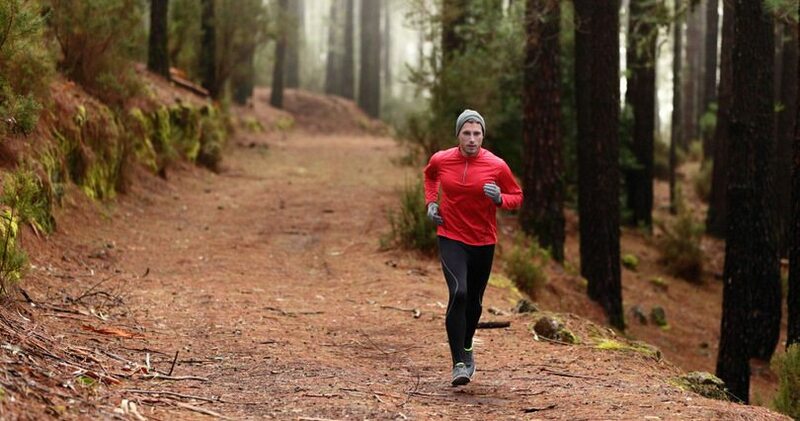 You will most likely feel physically tired, as if you had run for miles. This is normal, you just released a lot of energy and because of it you will feel better faster. In the intimacy of your own thoughts make sure you allow yourself the honesty to feel whatever comes natural to you, and not the feelings you believe you should be having. Do not feel shame or think you are weak because you are feeling any particular emotion. True strength comes from allowing oneself to be vulnerable, and then knowing that everything will be alright afterwards. By allowing yourself to feel freely you will also come to understand yourself better and at a much deeper level, and this will help you get more clarity about what you really need to come into your future in order to be truly happy. It is very possible that you will momentarily feel worse before you start to improve your mood and feeling better. But the benefits will exceed the negatives and both your physical and your emotional health will be stronger. Once you have released your feelings in this manner you won’t need to wallow in them any longer. You will be ready to move on and fill your emotional meter with new and better feelings. Exercise is important in your life on more than just the physical level. Psychologically, feeling better and looking better by being in shape will improve your self-image, and feeling healthy will of course get rid of the moodiness that naturally comes from being in discomfort from issues like having a cold, a headache, or having back pain. But exercising will also affect you from a neurological stand point. When exercising, the brain produces more neurons, and the concentrations of neurotransmitters (such as norepinephrine and asserotonin) increase as well. These neurotransmitters tend to be scarce in people that suffer from depression. The more you increase them, the less propensity to feel the blues. Also, engaging yourself in a physical activity can work as a distraction from negative thoughts and serve as a break for your mind to recuperate and function with more clarity. Exercise does not have to be of high intensity, the main thing is that is an activity that you can enjoy. Yoga or Tai Chi, for example, are activities of low impact but with enormous benefits for both the body and the mind. Having to concentrate on your body movements will bring you to the present moment and allow very little time for your mind to wander. Exercise will help you release toxins from your body, will relax muscles and can give you a sense of purpose and accomplishment. It doesn’t really matter if you have never exercised in your life. Just start by doing something small, go for a walk around the block, stretch, or get out and play ball with your dog. Tomorrow you can do a little more. Whenever you can, bring your exercise outdoors. Walk or stand barefoot in contact with the earth. Nature has an amazing way to calm the nerves and soothe the soul. Have you heard of retail therapy? It is when people go out shopping to feel better. It might sound frivolous, but it actually has a psychological component that makes a lot of sense, and it works not only for women—men can certainly benefit too. When you stop and purposely take the time not to only think about what you like but to actually do it, you are sending your brain the message that you care, that you deserve to be paid attention to. You don’t have to necessarily go and spend your savings on designer shoes, but you can find certainly find other ways to remind yourself that you are worth it. Something as simple as taking a long warm bath, putting on your favorite clothes, taking the time to groom yourself, maybe even changing your hairstyle, could give you a self-esteem boost and improve your mood instantly. Take some time to do something for yourself. Do it truly for yourself and not for anybody else. Love yourself; think about all the things you like about yourself. Remember all those moments when you have said something clever, or made somebody you love smile. Think of those aspects of yourself that you like the most. Do not dismiss this by thinking of it as vanity. There is nothing wrong with loving oneself, and know that there have been studies that indicate that a healthy self-image is actually a very attractive trait. One that you would most certainly want to cultivate. Make sure you do something for yourself at least once a week. You could for example indulge in getting your favorite food today, taking a little extra time for lunch, taking a nap, singing your favorite song out loud while you wait in traffic, or going to the salon for a special treat. Women especially tend to forget to give to themselves, by nature they are inclined to care for others and leave themselves for last. Even though this might be a very honorable position, in time, it can break a person down. You will be of much greater help to others if you are a whole person. Having small children is often an excuse used not to pamper ourselves, but if you feel better, you will be a better person to interact with. Your care for others will be of much more quality. If you need to, schedule a couple of hours for you in advance. Plan ahead so that you can arrange for somebody to watch the kids, or simply work a few moments of your own while they are taking their nap during the day or after they have gone to sleep for the night. By now you have probably heard that being grateful is a very important trait for somebody to have. But exactly why is that? And are you doing it enough? When we are in need of a pick-me-up, chances are that our ‘thankful’ meter has being somewhat depleted. During those moments that we feel sad or angry it is very easy to imagine that we are far from seeing all the positive things that are surrounding our lives. At the same time, in somewhat of a vicious cycle, not being able to see the good will pull you further down. Under such circumstances, there is only one thing to do; you need to be actively grateful. To do so, you need to engage all your senses in looking for as many things as you can to be grateful for. Start by noticing even the simplest things, those things we tend to take for granted after a while. For example: as you take a shower, look at the steam coming from the water, feel how soothing it feels on your skin, smell the scent of the soap and realize how lucky you are, what a great luxury it is to have not only access to tap water, but hot water, and soap, and being able to take a bath inside a safe home. No matter how dreadful your situation is at any given point, there is always the guarantee that you can find something you can be grateful for. If you don’t find anything positive to say thank you for, you are definitely not looking hard enough. Saying thank you in this manner is like a snowball going downhill. It might start small and it might not move very fast, but as you go it will pick up weight and speed. You will find it easier and easier to find things to be grateful for and automatically your spirits will uplift. By looking at all the positive things that are already present in your life, your perception will shift. You will start realizing that things are not at all that bad and that is under your complete control what aspects you choose to pay attention to. The act of actively looking for positive things will also serve to keep you present. Often negative feelings come from looking back at things that already happened and you cannot do anything to change, or by looking forward with fear and anxiety, worrying unnecessarily about that which might not even come true. Once you start being actively grateful, you will have reversed the flow of the vicious cycle we talked about at the beginning. Your vibrations will go up and you will automatically start attracting more beautiful things into your life. You will start to feel better, and as you do, you will find more and more reasons why to say thank you to the Universe. Sometimes we don’t really need a solution, we just need to release some steam. We need to feel like we are understood and our opinions validated. It might seem like a petty thing, but the reality is that we are social creatures and this need is almost instinctual. There is nothing wrong with venting, but we have to be careful that we don’t confuse it with gossiping, which is really a completely different thing. When you gossip, you are not really bringing anything positive to the conversation, but you are passing judgment on somebody else. Also, let’s not fall into assuming the role of a victim when we are venting. It’s normal to want others to sympathize with our situation, but do not fall under the “poor me” fantasy that tells the story that you are at the mercy of what happens. 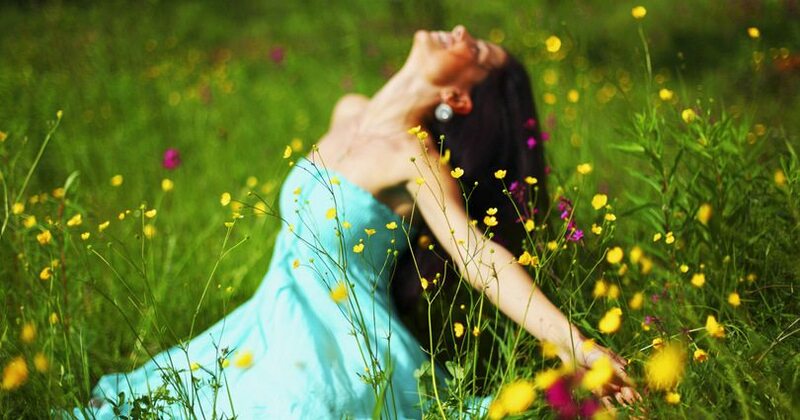 Remember that you and only you have been given the real power in creating your life as you please. When something you don’t like happens, take it as a guide in helping you make better choices. The constructive way of venting deals more with releasing feelings in a safe environment, and helping your mind get a different perspective over the trouble you might be facing. By speaking to a close friend about what is bothering you or even by writing it down in a diary you will accomplish exactly that. One of the biggest benefits of psychotherapy is this – It forces you to speak about your situation out loud, and this will often trigger ideas or thoughts you would not have come to otherwise. But you don’t even need another person to hear you in order to get the benefits of venting. You might not have somebody in your life right now you would trust with your thoughts about this particular situation. Maybe you are in need to vent precisely about that person that is closest to you. Or maybe you are just a very private person and do not feel it would be appropriate to bring anybody else in by talking to them about it. In either case, you can always rely on writing it down, or using your imagination. If you decide to write it down, do it just as if you were talking to an imaginary person, you might even want to write an email or a letter directed to the particular person who has hurt you. If you use paper, you can symbolically burn it at the end and let all your resentments and bad feeling go with it. If you do it electronically, make sure you leave the email address section blank so that you don’t end up sending it accidentally. If you decide to use your imagination (I find that it is very useful to recreate the situation) that made you feel upset and change it to end up working in your favor. Also, imagining as if you are having a conversation with the person that hurt you might end up shedding some light on the root of why this person acted in a particular manner, and from understanding often comes forgiveness, and from forgiveness comes peace. 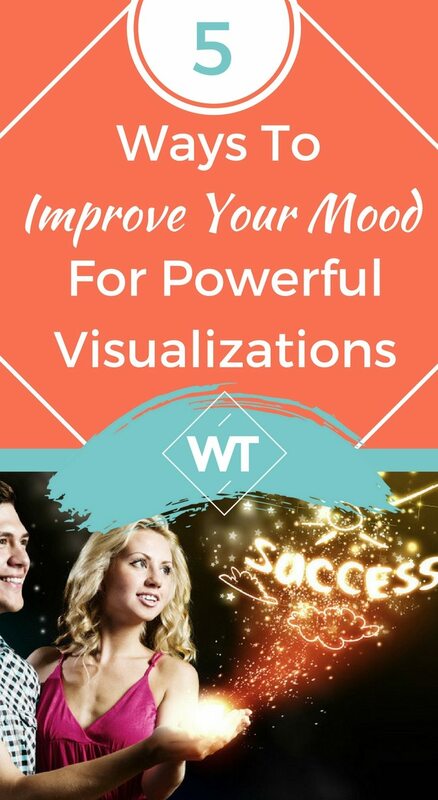 Use these simple techniques to improve your mood for a happier “you” which will in turn help you create correct and effective visualizations.